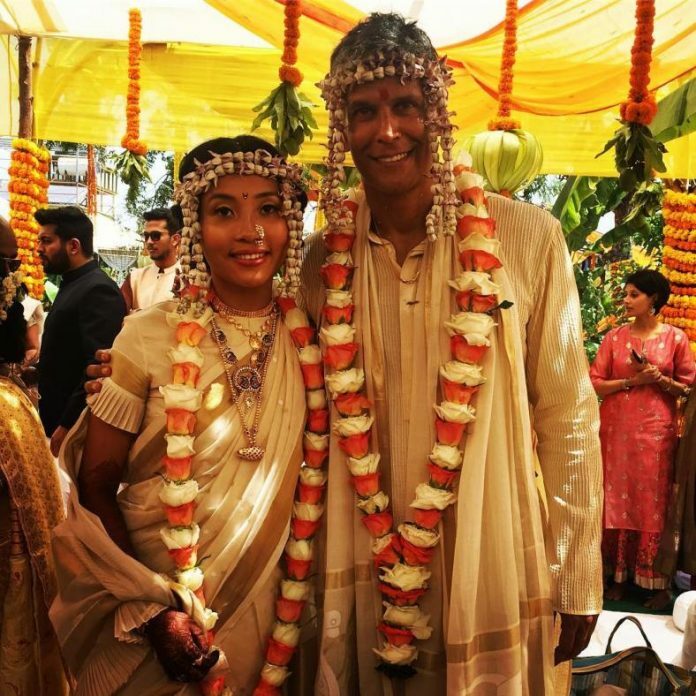 Model turned fitness freak Milind Soman got married to his long time partner Ankita Konwar in a traditional wedding ceremony at Alibaug on April 22, 2018. The wedding ceremony was attended by close family members and close friends. This is the second marriage for Milind. Several friends of the model took their social media accounts to share the pictures of the newly-weds. Milind and Ankita looked beautiful as newly-weds in white outfits. Ankita was seen in an off-white sari with a golden border while Milind was seen in a golden and white kurta and dhoti. Ankita and Milind were often trolled for the age difference between the two, but that did not bother the couple from showing off their love to the world. Milind was earlier in a relationship with Madhu Sapre but the couple broke up soon. The model then met a French actress Mylene Jampanoi on the sets of the film Valley Of Flowers. The two got married at a resort in Goa but the two decided to part ways in 2008 and got divorced in 2009. On the professional front, the actor was last seen in the film Hamara Tiranga which was released in January 2018. Milind also featured in the short film Mukti.